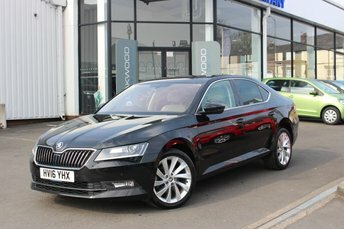 This stunning example of the Skoda Superb is fitted with heated part leather/Alcantara seats in the front and rear, Satellite Navigation with Traffic Reports, Cruise Control with a speed limiter, Android Auto and Apple CarPlay, Bluetooth telephone and media use, USB and AUX-in connectivity, WLAN connectivity, DAB Digital Radio and dual zone Climate Control. Also featured on this Superb are Parking Sensors at the front and rear, an automatic Start/Stop system, 18in Pegasus Alloy Wheels, a multi function Steering Wheel and Arm Rests and Drinks Holders for the front and rear. This car has been well loved and maintained by its only owner. Striking contours and bold features help to mark the Skoda Superb out as a hatchback that means business. From the sculpted bonnet and impact grille to its razor-sharp headlights, the Superb makes its intentions clear. Inside, this compact executive car is refined and well built, with quality materials and features appearing throughout the cabin. Cutting-edge technology and safety features plus a range of responsive engines and agile handling also make it a dream to drive. 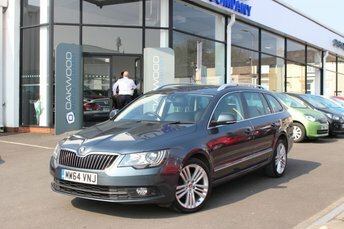 Discover more about the used Skoda Superb models for sale in Rochdale now by contacting a member of the showroom team at Oakwood Motor Company Ltd today. You can also browse our complete lineup here on the website.